Happy Mother’s Day to Larna! It’s Mother’s day next Sunday (cue everyone putting alarms in their phones to buy presents this week!). 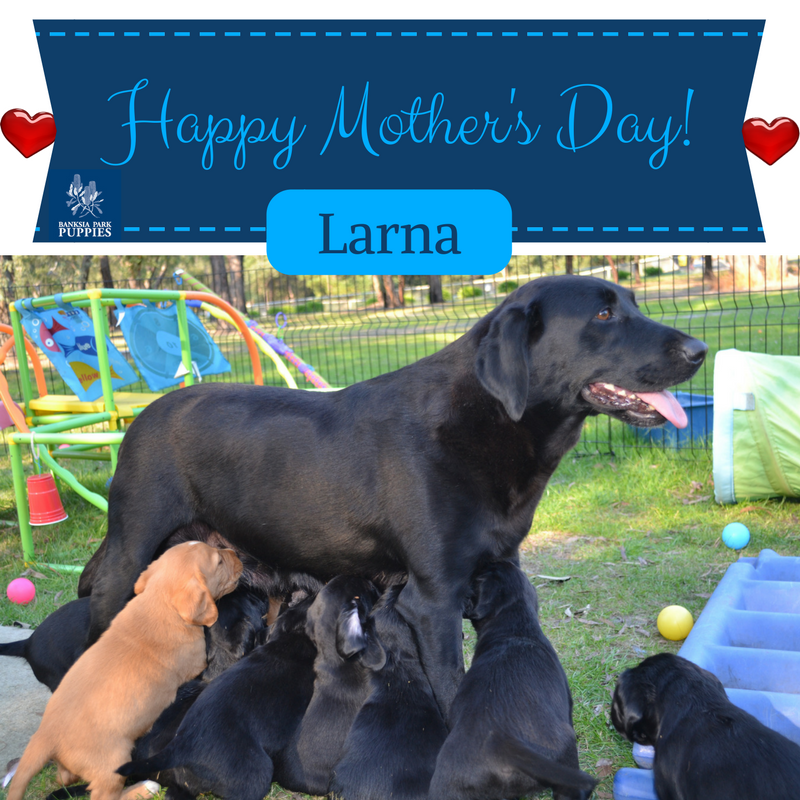 We would like to spend this week celebrating all our amazing mums here at Banksia Park Puppies and telling you stories about them so that you can get to know them better. Our first mum we want to tell you all about is our lovely Larna. She is a wonderful mum and can you believe she had 11 puppies! She has been wonderful and raised them all on her own. She had enough milk to feed 11 puppies! Her puppies are gorgeous, and well brought up by her, and we have made up some photos and a little video too to showcase our lovely mum and her lovely 11 cavador puppies. Larna feeding her 11 cavador puppies! So much milk! Look at the nose!